Ships tomorrow if you order in the next 16 hours 39 minutes. Sometimes, nothing is more soothing than nature. And in this age of fast, processed foods, sometimes our stomachs could really use some soothing. 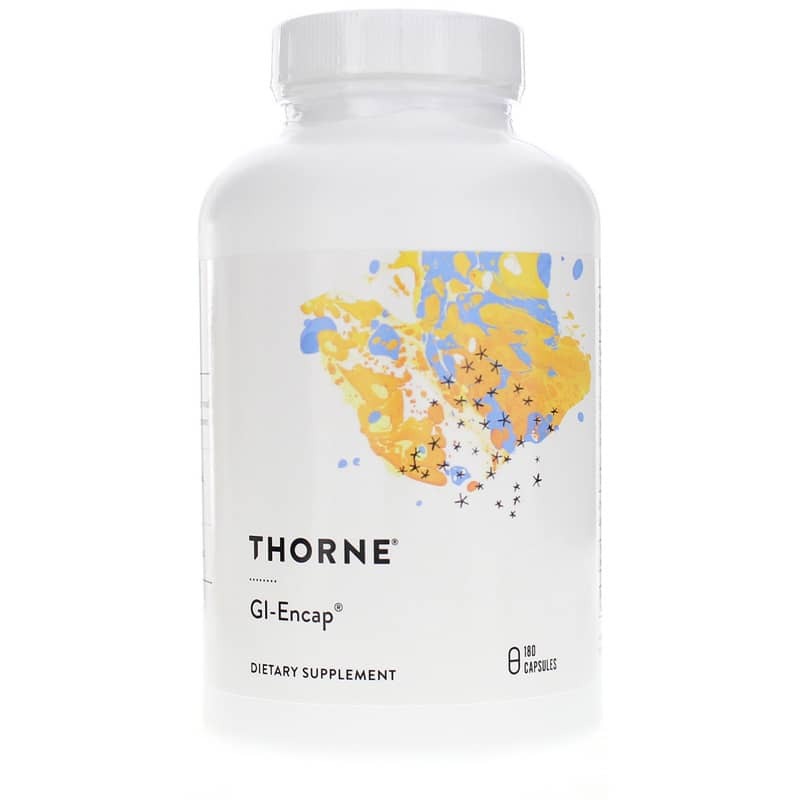 Support gastrointestinal health with natural herbs with GI-Encap by Thorne Research. 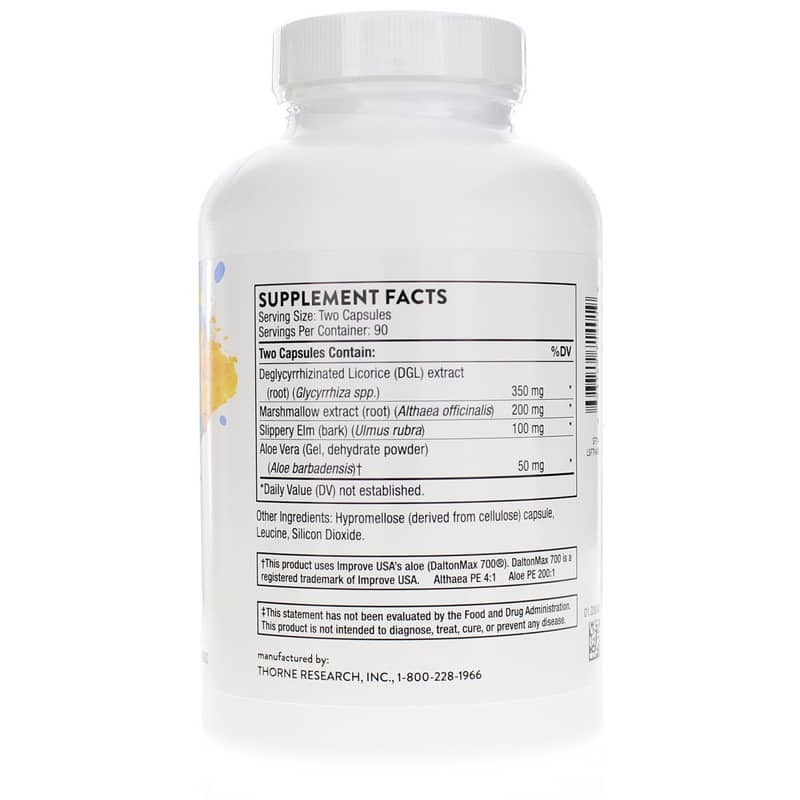 GI-Encap has a new formula that now includes aloe vera along with other natural botanicals to support the health of the gastrointestinal tract. Aloe vera can support a number of gastroprotective functions through mast cell stabilization, antioxidant activity, and more. To minimize possible laxative effects, only the inner gel fillet of the aloe is used. Other key ingredients include deglycyrrhizinated licorice, slippery elm bark, and marshmallow root. Licorice root promotes healthy mucus production in gastrointestinal cells for a healthy GI tract. Although licorice root naturally contains glycyrrhizin, this component is removed due to the blood pressure-raising action some individuals experience when taking licorice root. This gives you a product with fewer worrisome effects while keeping the beneficial effects intact. 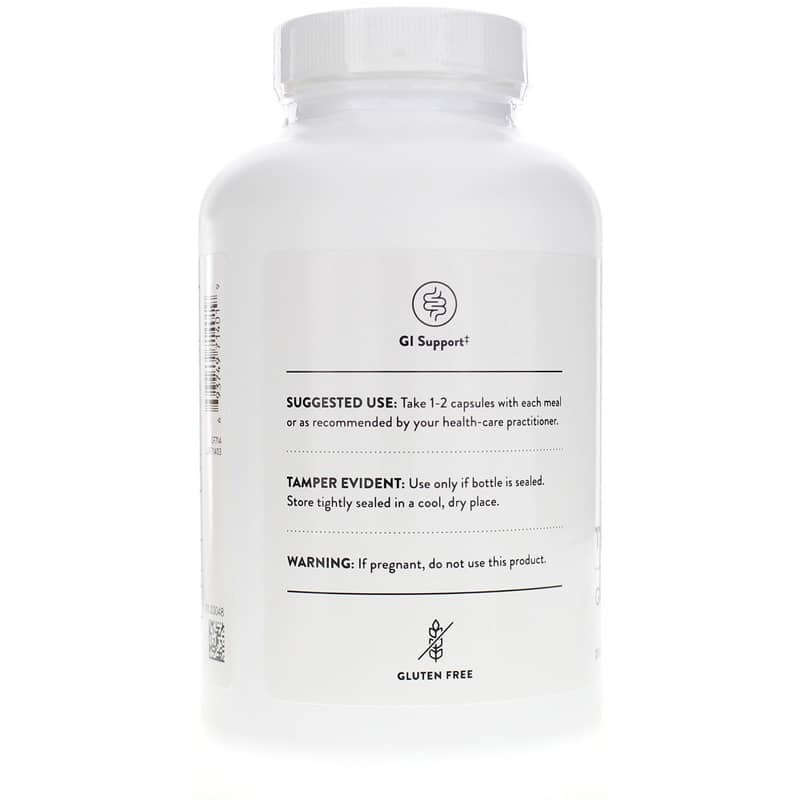 The addition of slippery elm bark and marshmallow root contributes to the soothing of the gastrointestinal tract with natural mucilaginous components. GI-Encap can also be used to calm an irritated esophagus. Mix the contents of the capsule with warm water for a soothing tea. Soothe your stomach with natural ingredients. Order GI-Encap. Adults: Take 1-2 capsules with each meal or as recommended by a healthcare practitioner. Great product. No longer use any other products. Good, fast service by Natural Healthy Concepts. Very convenient! I've had asthma in the past but the GI Encaps brought back wheezing and difficulty breathing. This happened more than once so I stopped taking them.